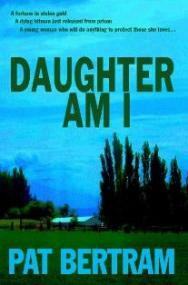 I am involved in a wonderful project with eight other Second Wind authors. 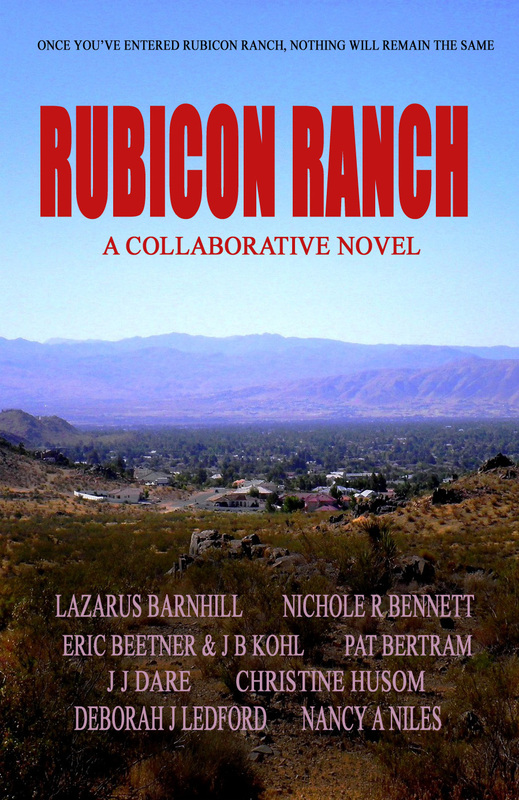 Rubicon Ranch is an ongoing collaborative novel that we are writing online. 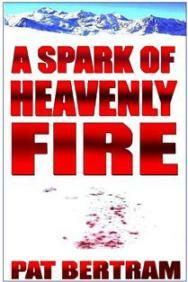 It is the story of people whose lives have been changed when a little girl’s body was found in the wilderness near the desert community of Rubicon Ranch. Was it an accident? Or . . . murder! But who would want to kill a child? Everyone in this upscale housing development is hiding something. Everyone has an agenda. Everyone’s life will be different after they have encountered the Rubicon. Rubicon Ranch, that is. Each of us writers is responsible for the development of our own characters. My character is Melanie Gray. She has traveled the world with her husband, a world-renowned photographer. Together they authored many coffee-table books (she did the writing, he the photographs). One of the books told about mountains of the world, one about rivers, one about oceans, one about forests, and now they have a contract to do deserts. After they rented a house in Rubicon Ranch to begin their in-depth study of the southwestern deserts, he died in a car accident. Now, not only does she have to deal with the pain of losing her husband and figuring out what she’s going to do for the rest of her life, she needs to fulfill the publishing contract or she’ll have to reimburse the publishers, which she cannot do because the advance is all but spent. 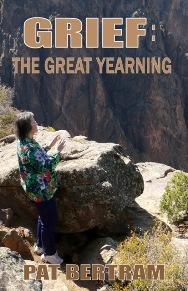 Since she is not a photographer, she roams the desert bordering on Rubicon Ranch, taking hundreds of photos, hoping that a few of them will accidentally end up being as brilliant as her husband’s photos always were. She finds the child’s body and takes photos of the scene after calling 911. At first she is a suspect but once the Sheriff has ruled her out, he requests her help in reading the desert and desert-related clues. Still, the sheriff does not trust her completely, thinking she is hiding something. An additional chapter will be posted every Monday. Please join in the adventure — it should be fun! We don’t even know whodunit and won’t know until the end. Oh, I can’t wait! I read Steven King’s ‘the Green Mile’ in volumes before it was published as a finished book. The anticipation is so fun. My husband and I read a ton. I’ll have to let him know. Very interesting. I cannot begin tonight, but I will bookmark this page and try to get to it very soon. Mystery is my favorite genre to read. 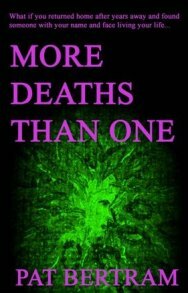 My one and only novel (in last revisions phase) is a mystery. « Grief: All Things Considered . . .